System on the circle. The railing with simple balusters. 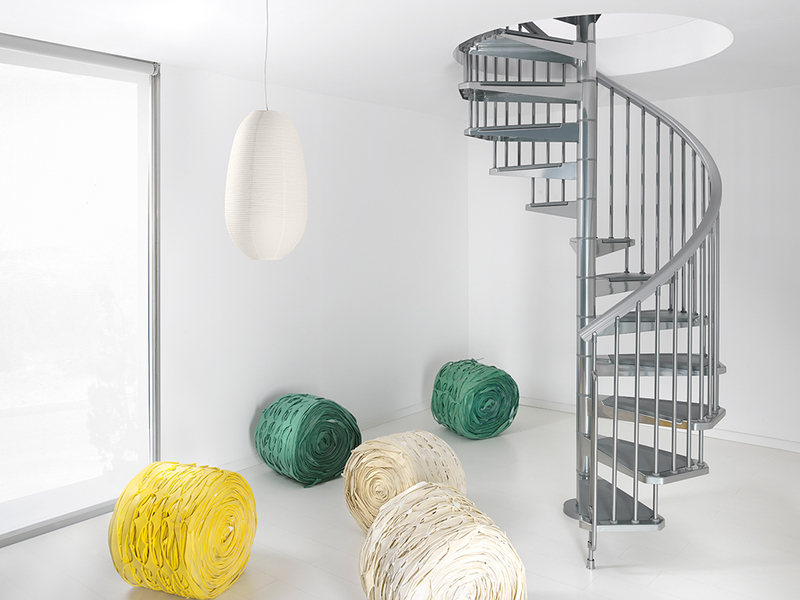 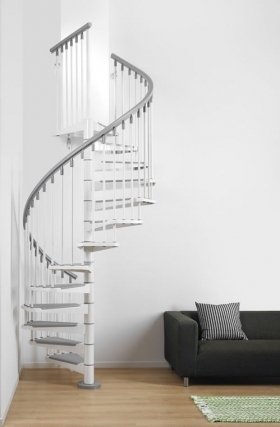 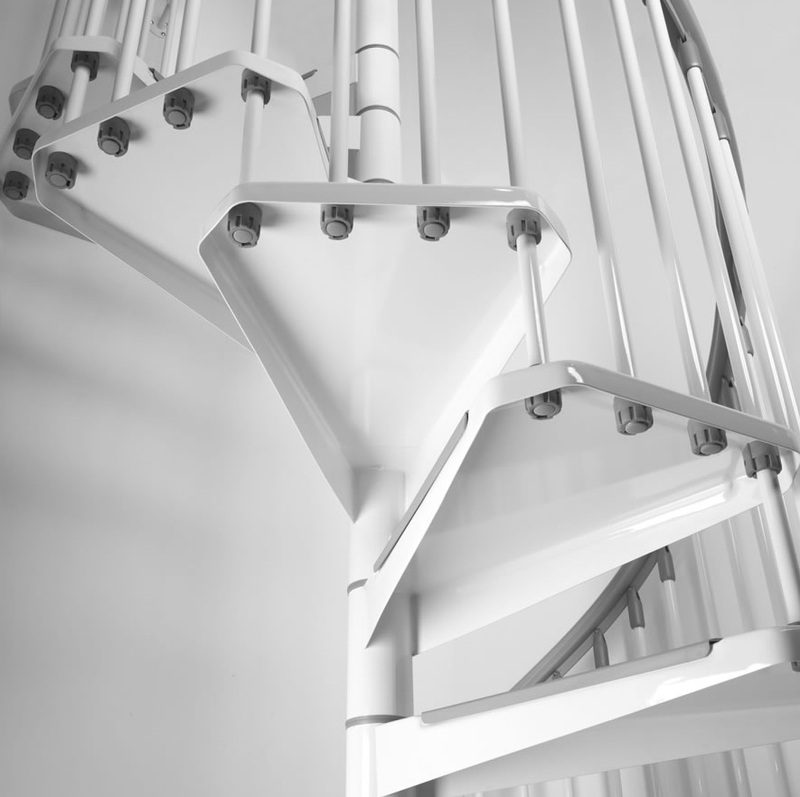 Stairs Steel versions are made of steel coated in chrome or white (RAL 9010). 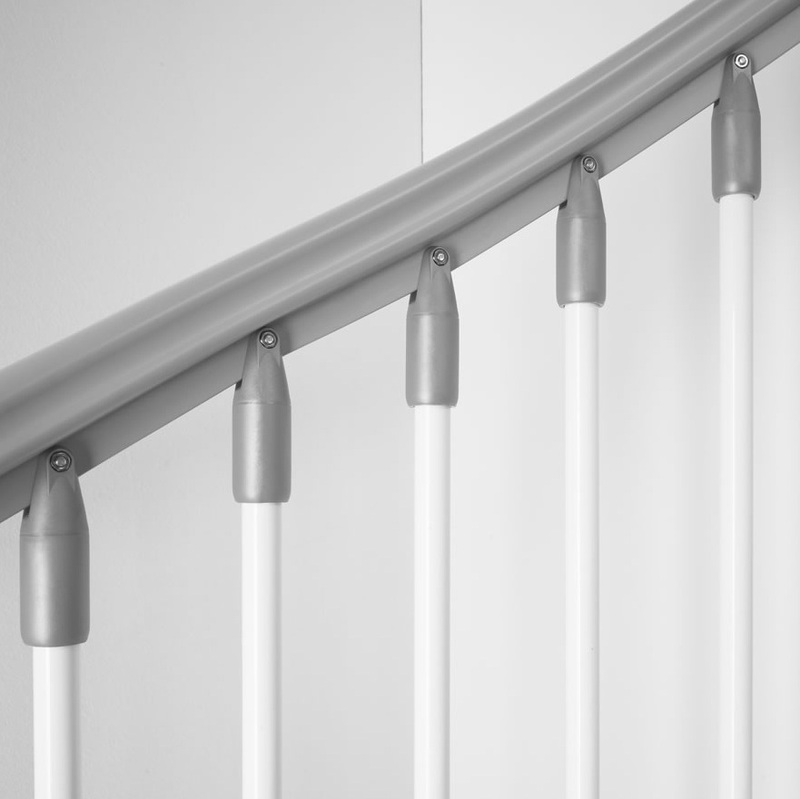 Handrail is in PVC in gray, like finishing of stairs. 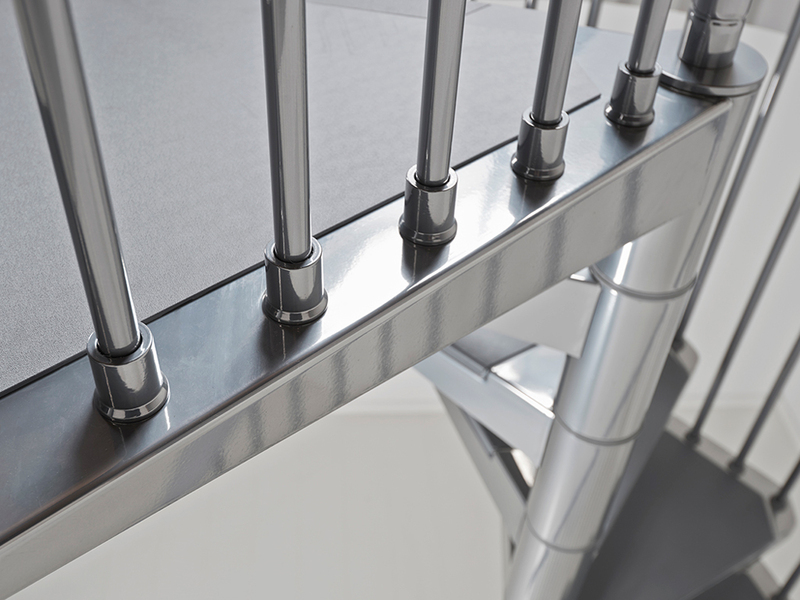 Steps characterized by: a universal platform which allows their assembly into the holes of various shapes and sizes. 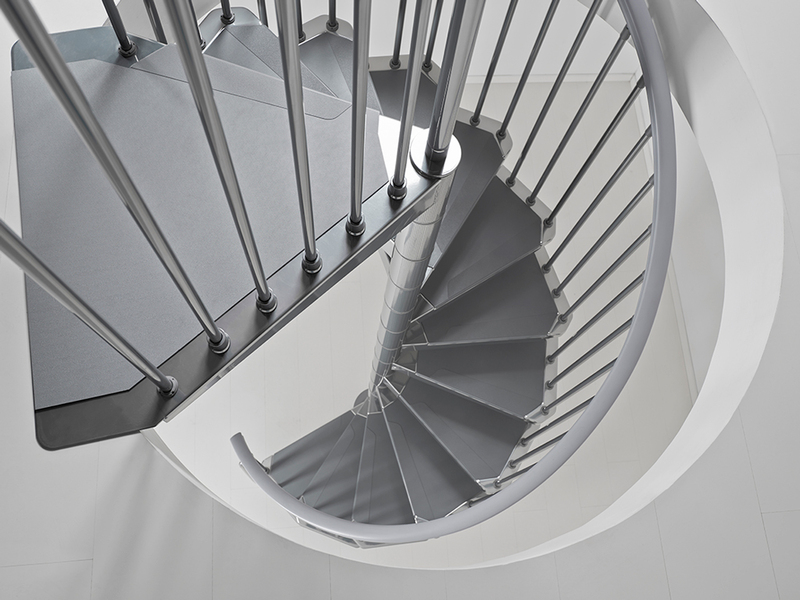 The direction of rotation, consistent with clockwise or anticlockwise, is set during installation. 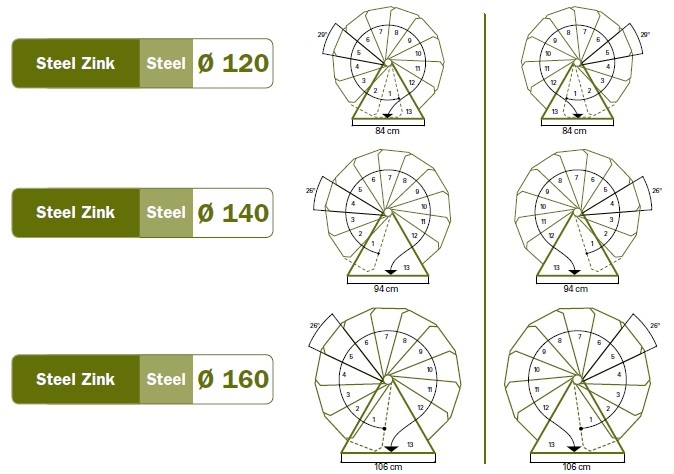 The diameters are as follows: 120, 140 and 160 cm. 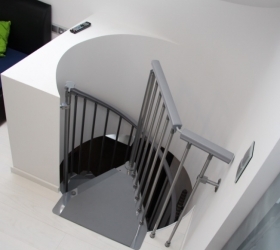 The height of the staircase is adjusted in the range from 273 to 305 cm. 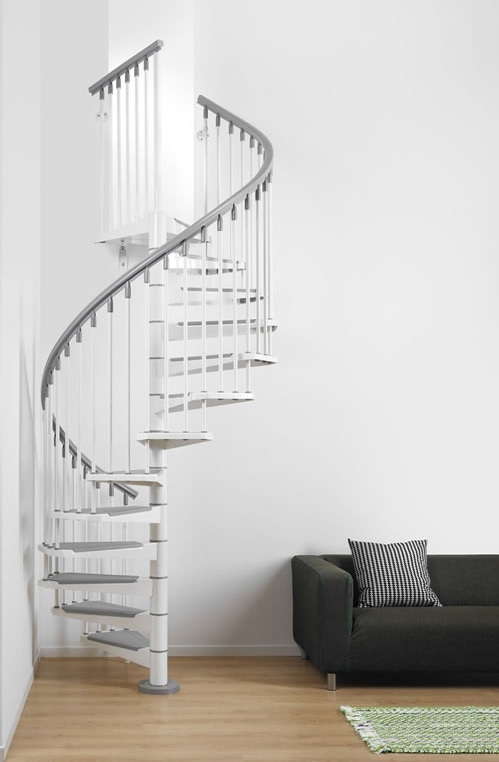 The railing is made of balusters from varnished steel. Stairs are adjustable in height from 210 to 376 cm depending on the chosen configuration. Spiralne schody Pixima Steel more videos at Albini & Fontanot S.p.A. on Vimeo. 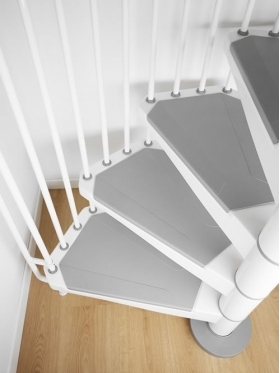 In the middle of the box, into which are packed stairs, there is bag with installation instructions, warranty and the code by which the registration page www.pixima.it may be extended by year warranty purchased of stairs.